As Gatwick Police carry out extra patrols over the summer to reduce the number of passengers acting drunk and disorderly. It comes as the New Aviation Minister wants to look at the ways alcohol is on sale at airports across the UK. Lord Ahmad said: ``If you're a young family travelling on a plane you want to go from point A to B, you don't want to be disrupted. ``I don't think we want to kill merriment altogether, but I think it's important that passengers who board planes are also responsible and have a responsibility to other passengers, and that certainly should be the factor which we bear in mind. At Gatwick, extra patrols are taking place as part of Operation Disrupt. Since June 2016 15 people have been arrested while 30 people have taken off their holiday flight for drunk and disorderly behaviour. Holiday makers are being urged to have fun but to know their limits – or face up to two years in jail. Sussex Police, which has been working closely with Gatwick Airport, its pubs and bars, and airlines for several years to reduce and control the issue of drunkenness on flights. Now, for the second successive year, the force is preparing to increase patrols as part of Operation Disrupt – the campaign committed to specifically target problematic groups and individuals during the summer months. Sergeant Darren Taylor, of the Gatwick Airport Policing Team, said: "We deal with disruptive passengers all year round, but we recognise the problem tends to peak in the summer months – often when there are a lot of stag and hen parties – and that's why we run a specific operation at this time of year. "Working with the airlines, we're able to target a number of long and short haul routes where we feel there may be issues. We'll also be increasing patrols around the airside and around licensed premises to ensure people are aware of the rules and their responsibilities. Any individual convicted of being drunk on board an aircraft faces a maximum sentence of up to two years' imprisonment. In addition, in March 2015, the limits on fines imposed by magistrates for this offence were removed, meaning offenders could face a heavy financial penalty. 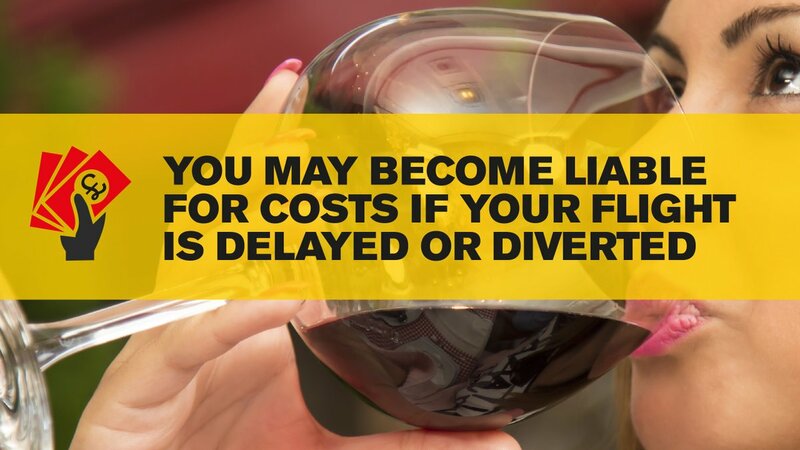 Offenders are also liable to pay the costs incurred by an airline in the event of a delayed or cancelled flight. Sgt Taylor added: "We'll be keeping an eye on people from the point they check in to the point they board an aircraft. It's about getting in there early so people are aware of the rules, and if they continue to break them, they will be dealt with robustly. "Gatwick is an extremely family orientated airport and we pride ourselves on being very passenger friendly. It's a great place to travel to and from, but there are a minority of people who will ruin the experience for others. Operation Disrupt runs from 1 June to 30 September.